This preview has ended. In order to continue watching this lesson and access more great US Equestrian benefits, please join USEF today! Endurance offers the opportunity to spend all day with your horse on the trails, beyond the confines of a ring or indoor arena. For those who love it, it's an unparalleled riding experience that allows an equestrian to compete while connecting with nature and horse over a long span of time and distance, and many endurance horses can remain competitive for 10 to 15 years. Comparable to the human marathon, endurance riding features competitions over distances ranging from 25 miles to 100 miles in a single day. Competitions adhere to rigorous standards of equine welfare and feature veterinary examinations throughout the ride and after the race's finish. The horse and rider who cross the finish first and successfully pass the final veterinary exam are the winners. Kanavy discusses these veterinary exams in depth (including procedures for checking pulse rate, soundness test, and more) and other precautions taken on behalf of horse welfare. Valerie Kanavy is the 1994 and 1998 World Endurance gold medalist and 1996 World Endurance silver medalist, behind her gold medal-winning daughter Danielle. Kanavy also has six International Arabian Horse Association (now the Arabian Horse Association) 100-mile championships and four 100-mile reserve championships to her credit, among numerous other victories and honors. 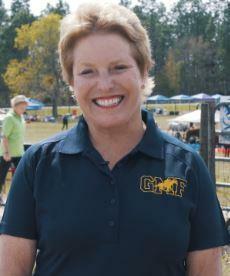 She was the American Horse Shows Association (now the United States Equestrian Federation) Horseman of the Year in 1999 and has served as the U.S. Endurance Team's chef d'equipe for World Equestrian Games competition. Kanavy was inducted into the American Endurance Ride Conference's Hall of Fame in 2004. This Learning Center is provided solely as an informational and educational service to US Equestrian members. This Learning Center is not intended to nor does it constitute legal, medical, or veterinarian advice or opinions and should not be relied upon as such. By using this Learning Center, you agree to this disclaimer and recognize that it may be necessary to seek the advice of an attorney, medical physician, or equine veterinarian licensed to practice in the appropriate area.